The Verizon Indycar Series opens its 2017 season this Sunday, and ABC will have full coverage of the series’ season-opening race live from St. Petersburg, Fla.
Green flag for Sunday’s 110-lap race is scheduled to fly at 12:30 p.m. ET on ABC. Coverage of Sunday’s race will also be simulcast live online via WatchESPN. The 1.8-mile track includes some of St. Petersburg’s streets and features 14 turns through which drivers must navigate on their way to the checkered flag. This year’s telecast of the series’ season-opener will feature some new tech to enhance the viewing experience for fans. One of those new improvements is a new analytics system designed for ABC and ESPN by tech company Pit Rho. The analytics system will include everything that audiences have come to know from ESPN’s Verizon Indycar Series coverage including tickers and graphics. Included in the tech this year is teams’ tire compound choices, laps on tired, fuel windows, optimal laps for pitting and much more. Another new improvement that audiences will see in the network’s tech this year is the inclusion of a helmet cam that will be used during pre-race coverage. The mini-cam will show audiences the effects of G-forces on drivers’ heads and bodies as they navigate the tracks’ tight turns. Network officials stressed the cams would not be used during the race coverage as they might interfere with competition. 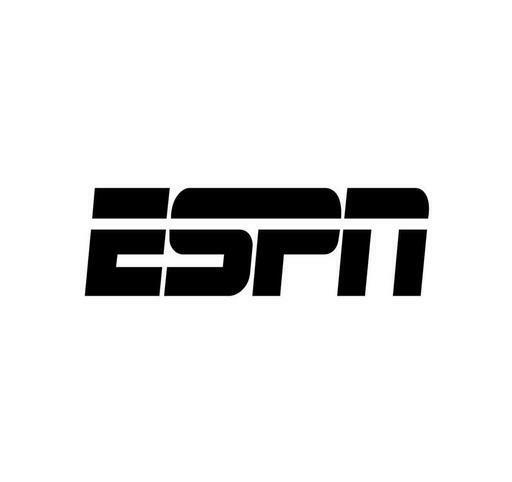 Along with its coverage of the series’ season-opening race in St. Petersburg, ESPN will carry full coverage of the 101st Indianapolis 500 on May 28 and the race’s two-day qualifying session on May 20 and May 21. The series’ road race at the Indianapolis Speedway on May 13 and two races from Detroit’s Belle Isle circuit on June 3 and 4 are also on the networks’ schedule. Allen Bestwick will once again anchor broadcasts of ABC and ESPN’s Verizon Indycar Series races this year. He will be joined in the booth by former Indycar drivers Scott Goodyear and Eddie Cheever for additional analysis and insight. This season marks the 16th season that Goodyear has served as an analyst for ABC and ESPN’s Indycar broadcasts. Cheever returns for his 10th season of Indycar broadcasts. Jon Beekhuis, Rick DeBruhl and Dr. Jerry Punch will be on pit road once again, too. The drivers of the Verizon Indycar Series will pull double duty this weekend. With the Indy 500 now in its rear view, the Verizon Indycar Series and its drivers head to Detroit and the Belle Isle street circuit this weekend for the “Chevy Dual in Detroit” presented by Quicken Loans. Allen Bestwick will have the call for both of this weekend’s races. He will be joined in the booth by analysts Scott Goodyear and Eddie Cheever for the weekend’s events. Rick DeBruhl, Dr. Jerry Punch, and Jon Beekhuis will be in the pits with additional coverage of the races. ESPN and NASCAR are parting ways at the end of the 2014 season. Despite this change, there’s good news for audiences and ESPN’s NASCAR broadcast team. ESPN announced this week that analyst and team owner Brad Daugherty will remain with the worldwide leader in sports. ESPN announced this week that Daugherty will join ESPN’s basketball broadcast team beginning Monday, December 1st. Daugherty is a former five-time NBA All-Star and college basketball standout. He will serve as an analyst on ESPN’s NBA Tonight, NBA Coast to Coast, and SportsCenter regularly. He will also make appearances on ESPNU’s ACC Sunday Night package along with other other programming across the ESPN family of networks. Before joining ESPN’s NASCAR broadcasts, Daugherty served as a reporter for ESPN and ABC’s college basketball from 1999 – 2001. Prior to joining ESPN’s ranks, he also served as a game analyst for the NBA’s Cleveland Cavaliers and San Antonio Spurs local broadcasts. His playing career included eight seasons as a member of the Cavaliers after being selected in the first round of the NBA Draft in 1986. He averaged 19 points and 9.5 rebounds per game during his career. His love for NASCAR showed throughout his career as he wore the number 43 in honor of “The King” Richard Petty. The Cavs retired his number in 1997. Daugherty is a graduate of UNC-Chapel Hill at the age of 16 and graduated from the university in 1986. He was named an All-ACC player twice during his college career and a first-team All-American in his senior year at the university. He averaged 20.2 points and 9 rebounds per game during his senior year at UNC. Daugherty’s is not the only move that ESPN has announced in regards to the network’s NASCAR broadcast team. Veteran racer and long-time ESPN NASCAR analyst Ricky Craven recently signed a new deal with ESPN that will see him remain with the network as a NASCAR analyst for SportsCenter and other ESPN news platforms. Nicole Briscoe, it was announced last month, will serve as an anchor on SportsCenter and will also take on additional assignments. And reporter Marty Smith will stay on board with ESPN, too. He will remain with ESPN as a Bureau Reporter for ESPN. Allen Bestwick, who has led ESPN’s NASCAR coverage each week, will remain with the network, too. He will stay on to call ESPN’s IndyCar races and to cover tennis and golf coverage. He will also anchor some programming on ESPN’s new SEC Network. NASCAR Nationwide Series regular Brendan Gaughan scored a surprise win over the weekend as the Nationwide Series made its way to Road America. Gaughan, who drives for Richard Childress Racing in the Nationwide Series, currently sits in seventh place overall in the series’ driver standings after his win. And despite a thirteenth place finish in Saturday’s race, JR Motorsports driver Regan Smith still sits atop the Nationwide Series driver points standings. He leads JGR’s Elliot Sadler by ten points after leaving Road America. This Friday night, Gaughan will look to prove last week’s win was no fluke. And Smith will look to bounce back and open his lead even more over Sadler as the Nationwide Series hits the track at Kentucky Speedway. Friday night’s race will be simulcast on ESPN and online via WatchESPN. Coverage of the 300-mile race starts at 7pm ET with ESPN’s weekly pre-race NASCAR Countdown broadcast. The green flag is expected to drop at 7:45pm ET. Allen Bestwick will anchor Friday night’s broadcast. He will be joined by analysts Dale Jarrett and Andy Petree in the booth. More information on ESPN’s Nationwide Series coverage is available online at http://espn.go.com/racing/nascar. To keep up with the latest sports and entertainment news and reviews, go online to http://www.facebook.com/philspicks and “Like” it. Fans can always keep up with the latest sports and entertainment reviews and news in the Phil’s Picks blog at https://philspicks.wordpress.com.